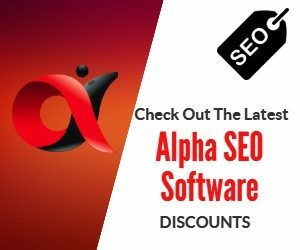 This is first in a series of tutorials for our Vid Attack Alpha software, which a very powerful tool to kickstart your rankings using 2 major ranking factors which are both based on user signals. Well, being able to generate user signals with software is a grey area and although it works really well, this should be seen as a kick start for ranking quality content. You see the software can push you up the rankings by generating CTR clicks from the search engines, and high retention content viewing, but when you start to rank for keyword phrases that have traffic then you start to get REAL traffic too. The user signals generated from real traffic will determine if you can maintain your rankings or not and this always comes down to your content. Ask yourself these questions before you run a Vid Attack Alpha campaign. Well according to google if you are actively trying to gain backlinks then its against their terms. So guest posting, blogger outreach etc would all be blackhat? Providing A Solution That Accurately Fits The Search Query And Whether You Kickstart Your Rankings By Asking For Backlinks Or Generating User Signals Automatically Should Really Matter As The Rankings Will Drop Anyway Unless You ​​​​Make Sure That The Two Points Mentioned Are Taken Care Of. Get more usable tips for Vid Attack Alpha in the next tutorial in this series by signing up to the email list from anywhere on this blog.